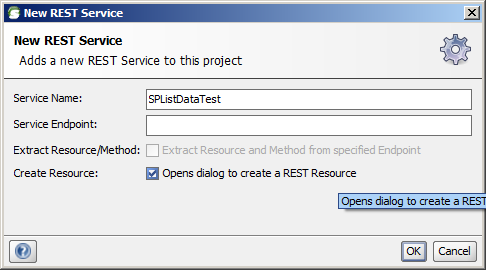 SoapUI is a free tool that can be used to test out of the box ListData.svc service provided by sharepoint. 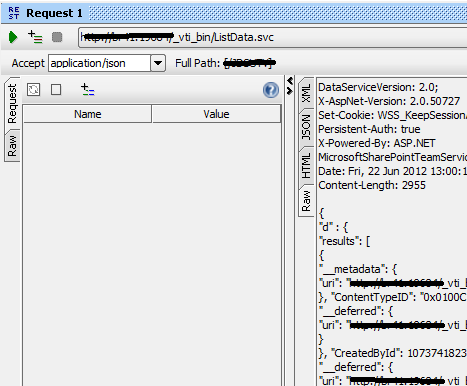 This service is available at /_vti_bin/ListData.svc for any of your sharepoint site. 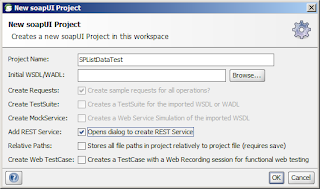 Here is how we can try it out using SoapUI. 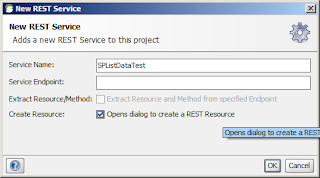 Step3: New REST resource window will appear. 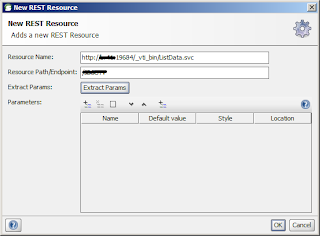 In resource name enter site url and in resource path/endpoint provide list/document library name and click on "Extract params" button. 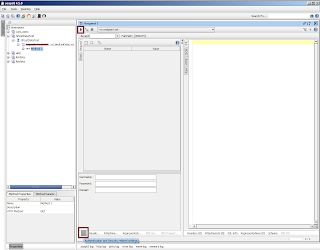 Following is the screen that shows sample data. 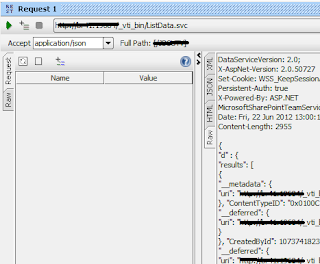 Step4:That will automatically create a new request called Request 1.This request will automaticlaly detect endpoint and path to your list/document library. 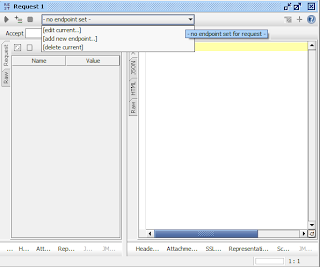 If it is not, just click on"-no endpoint set-" and click on add new endpoint. 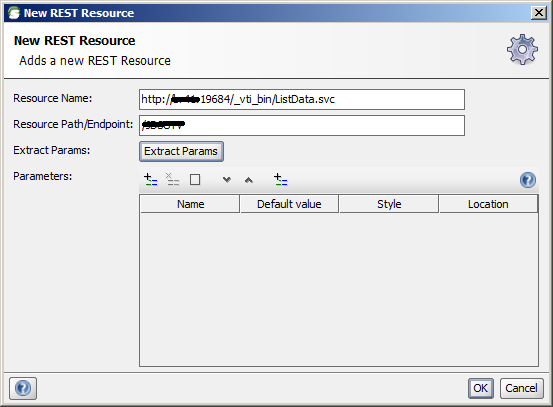 Enter site url in the dialog again. 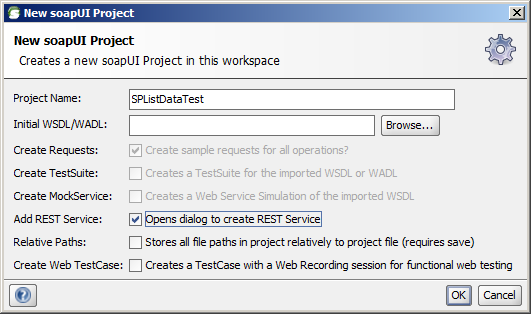 Step5: Maximize "Request 1" window in soapUI. In botton left corner you will see " ... ", click on it and you will be able to provide sharepoint authentication details there. 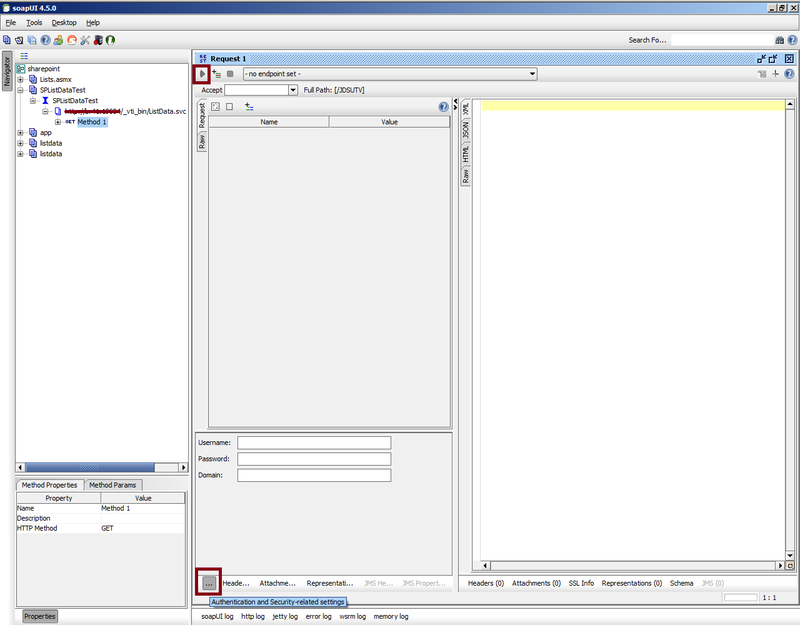 Step6: Once you are done with authentication details you can click on execute icon at top left corner of "request 1" window (marked in above figure) to execute the request and you will be able to see response at right hand side window. Developing for SMTP can be a time consuming hell. 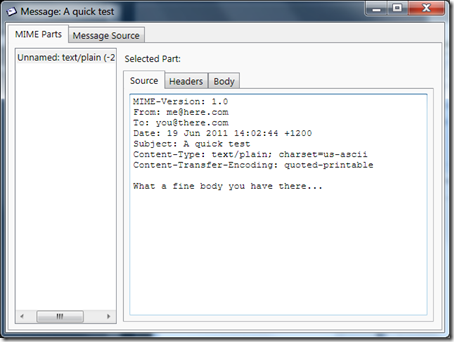 One can work out encoding issues the hard way – with a proper SMTP server installed – or skip all that and make it easy. 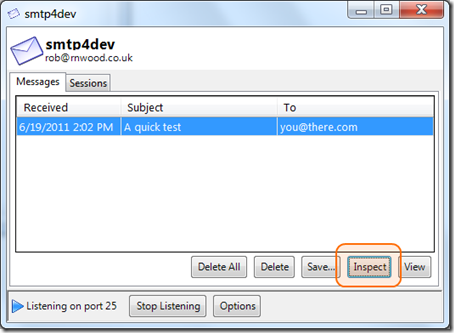 Enter SMTP4Dev's, which emulates an SMTP server, and allows one to see what's being sent around in much easier way. 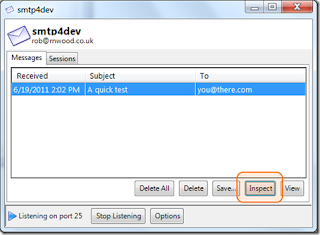 After some goggling I have found one very useful project in codeplex for testing local smtp functionality without any installation. Smtp4dev.exe does not require any installation. 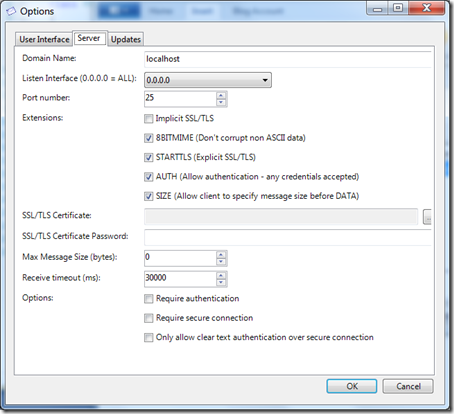 Note: Make sure that the domain name provided in smtp4dev and the domain name in from address and to address are same. 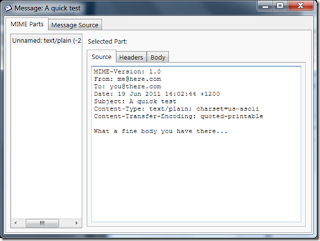 Open local file with administrator rights using any text reading software like notepad. Now whenever your share point server will send any mail, it is captured and displayed as shown in screenshots below.